Are you looking for a comfortable and convenient compact SUV to improve your daily commute? The 2018 Compass is engineered specifically to do just that, all while providing legendary Jeep capability. To help you learn more about what makes the 2018 Jeep Compass an excellent addition to your family, the product experts at Sycamore Chrysler Dodge Jeep Ram in Sycamore, IL have taken a look at its most exciting features and specs. Do you already have your eye on a 2018 Compass available in our online inventory at our Jeep dealership in Sycamore, IL? Contact us online or at ​815-384-2119 to see how you can get started on your ownership experience. If you’re looking for a compact SUV that’s just as comfortable on the trails and in inclement weather as it is cruising down city streets? Available Jeep® Active Drive 4×4 and Selec-Terrain® traction management systems found on select new Compass models mean you can be ready to tackle nearly any obstacle. In fact, the 2018 Jeep Compass provides the best-in-class 4×4 capability, giving you unparalleled confidence on and off-road. The dynamic 2.4L Tigershark TM MultiAir® I4 engine equipped on- every 2018 Jeep Compass model provides an excellent combination of performance and efficiency as seen in the table below. Max. Towing Capacity* 2,000 lbs. Whether you need advanced infotainment or luxurious comfort, the 2018 Jeep Compass is available with everything you need to turn every drive into a truly special event. Take a look at the features that are sure to keep you comfortable and connected every time you get behind the wheel of a 2018 Jeep Compass in the list below. Are you ready to experience the ways a 2018 Jeep Compass can improve your daily commute? 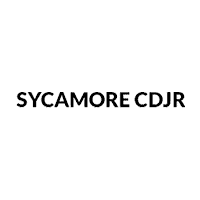 Take a test drive at Sycamore Chrysler Dodge Jeep Ram in Sycamore, IL today. Find your favorite 2018 Jeep Compass model available in our online inventory. If you have any questions for our team, don’t hesitate to give us a call at ​815-384-2119.